This art video tutorial shows artist/teacher Gregg Kreutz demonstrating to his class how to paint the figure from a live model. 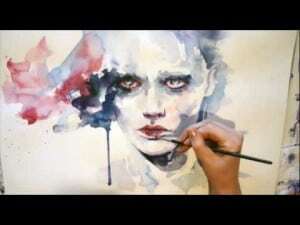 The demonstration was filmed over the course of 3 hours during his morning class using oil paints. He begins with the idea of laying down expressive strokes with his paint brush in the early stages to emphasise movement within his subject, which on this occasion is a young white female. Although her pose is static it is up to you as an artist to portray movement in your paintings with your brush actions and personal perception of the model or subject. It’s also another good way to test how the canvas reacts with your brand of paints and brushes setting the fluidity and ease of use for the remainder of your painting up to it’s final stages. He also moves into color theory and how to mix up complimentary colors to promote the skins tonal values but also retain and evoke expression. It really is a brilliant video which encompasses all the values still present in traditional and even contemporary styles of oil painting surrounding portraiture. I’m disappointed. No mention of the colors at all until the forehead skin tone went in, which was too raw and too light. This probably sounds too critical but all of the beginning talk of ‘movement’ did not show in the final work which was completely frozen. This guy is BLIND! It’s so funny when the whole place erupts in applause at the end! It’s because they are all older than he is and they can’t see the painting either! It looks appears *nothing* like the model. Now I know there’s nothing special about the art students league of new york!! Oil painting demonstrations are funny. They should start with a display of the teacher’s finished paintings. If they are not really good, what you are about to be taught will do more harm than good. If you are better than the teacher, you will be squirming in your seat. Time is much better spent going to a good museum. Or just for fun, try copying from a REAL master and seeking to understand the Why, the How, and the sheer genius of artistic personality. hmm…why is it only the older folks who seem to be present…when maybe some of the younger folks would benefit most for the beginning careers. ….and it all comes down to the often exhorbiant prices charged for these sessions…I have participated in several..and no more…as they rarely deliver what is promised…and often dumb down the session to the lowest level. Meaning it is often those of least talent who garner all the instructors attention. Disagree completely with Missartist…painting is NOT A SCIENCE at all…it is an art..as each individual artist creates a vision using similar tools …but there own methodology and process. Science is a didactic process of repeat and recreate…art is not that at all…Unless you want to create dead art…as many of the so called return to the classical style artists are doing…and boring art as well…Most of what is done is nothing more than glorified studies..not complete paintings. never ever be a slave to a technique or a methodology of a particular artist. Never ever voice or triumph a particular pedagogical method…study learn understand…but you must take it towards what you see….the best learning tool is a thousand paintings method…smaller of course…but the time spent doing and learning is the best teacher…looking at real painting…good and bad…eventually you will see why bad painting is bad and good painting is good…you train your eye, hand and heart. As a beginning artist, I’m wondering what your philosophy is regarding deviating from more “photographic” accuracy in portraiture toward a more interpretive approach. How far from accuracy is acceptable? Your portrait is lovely and I notice a few features that are somewhat different than the model’s actual appearance. When painting, what features are you trying to capture over others? I know…a difficult question…to ask and perhaps…to answer. Look at Frank Frazetta’s painting “the silver warrior”. The blue is everywhere, on the skin, the white of the fur, etc. Now think if the painting was done in the morning dawn in a clearing with brown bears, Does an red-orange come to mind? The base colour sums up all the painting’s colour in one colour. (the mood, the main colour, the action)The backdrop behind the model is his base and you see that colour on the model. It’s just Oil paint mixed with mineral spirits/turpentine most the time. I don’t think that some of your viewers understand the point of painting a portrait: If you want an exact duplicate, then take a photograph. The painting is a “likeness”…and it captures the personality and background of the subject as well as the features. I think you did a very nice job on this. And I love the “painterly” feel that you have….loving the brush strokes and layers of paint. Likeness is actually the less important in portraiture. But even if it is important, I’m sorry to tell you that Picasso was incredible in drawing and painting since he was 14.Have you seen the studies from life he made when he was accepted at 13 in Barcelona’s art school? He stopped using models (truth is, he used many times later) because he did not need them and not because he could not draw likeness from life… go at wikipaintings. o r g , find the profile of picasso, and see his works..
Firstly your way of talking(writing) shows a deeply inhibited person. If you could paint/draw like picasso did when he was 15, you would have keeped your mouth shut. Take a look? I have studied those 2. Firstly, Michelangelo said himself ” I wish I was a painter” .He was no good. (He was a master at drawing of course) Da Vinci has written how likeness is not the most important. Composition, colour and drawing (I’m not talking about likeness) are the most important. 1/ That is the reason why I said what I did here that Gregg should go back to school to learn how to draw first. I said he put the cart before the horse and demonstrated in front of people shamelessly of his weakness- the inability to draw likness, just like Picasso knew that he could NEITHER draw like Michelangelo nor Da Vinci, so he resorted himself to do the cartoon like drawing and painted the color two dimensionally! 1/Listen..I’m not a Gregg fun, but what I say is, you should see his drawings..I’ve seen some in a book from the school he is and believe me he has done good drawings. (I don’t know if they are from life though) I still believe you are wrong about Picasso. Two dimensionally? search at google for a still life named ”pitcher and apples” if that’s not 3d then what is? I agree that tracing from photos and stuff is stupid. Not cheating. But you can work from photos..like Francis Bacon did..and there is no cheating there.. My instict tells me you don’t like modern art..am I wrong? What about Cezanne that his portraits had no likeness? Weren’t his portraits masterpieces?I’d say, composition, colour , movement and most of all achieving the illusion of the 3 dimensions is all more important than likeness.What’s your opinion on Modigliani?.. 1/ You mentioned the name Modigliani ! That is right I think Gregg is trying to imitate the long necked woman that Madigliani did ! Well a creative artist would never use the terminolgy like you have been doing in this post. All the great artist never cared if their work is contempory or old fashion. True art is art, True art is timeless. My favorite saying was,” Would you nsau Beethoven is not midern because he composed them 200 years ago? !” Why do you label modern art or not modern art? I do like them. They were masters. But I prefer Van Dyck, Rubens, Rembrandt, Velasquez, Titian, Veronese, Tintoretto, El Greco. Haha,you lose.Hehe. I love classical music, especially Bach. Though my favourite is Rachmaninoff or Gershwin. I know little about dancing so I can not answer..
Quite a weak person..Are you talking about yourself? Really now, how old are you?12? There are no born artists. Talent is 1%..99% is perspiration. You are the weak one, trying to make your opinion preponderate without any arguments and proof. You are talking about my work without having seen it..nice. Now, what about you admit you are not half as good as Gregg and go cry alone instead of bragging about your deficient knowledge? And, he was a master at drawing. You just don’t get it. 🙂 Now, go away already! You prefered to become an architect to avoid being a starving artist! Well ,if you cared enough you would have given everything. Maybe that is why you are so inhibited! You are the weak one..you are the one who couldn’t do what Picasso, Modigliani, Matisse did..do everything for painting..That’s what you couldn’t do. Weak eh? Look who’s talking.. Excuse me, but this is very poor. This is not a portrait?! This looks nothing like her…Just like David Leffel. Cannot draw..Sadly the Art Students League seems like it’s become the Jewish Art Students League Brotherhood or something..Want to see fine portraits, check out Sean Cheetham et al in LA..No affiliation, but genuinely good work.Regards. Sure you can! About that specific technique, you need acrylic gel to make the acrylics even thicker, and find a way to slow down the drying time. Painting think already helps… the problem is the palette. You can get a “stay-wet palette” to remedy this. Also, to achieve the same results, you will need to have a slight different approach, covering your mistakes if the paint is dry, for instance, and try to start with very thin, transparent layers. 1/ I am a firm believer of at first we must learn from the classical proven way of doing things first, after that the person,if he or she was born talented then create after the foundation year. At least this is how the tuition-free college the Cooper Union is run before the turn of the century. And this is the way I learned the English Ballroom dancing. Unfortunately the person I have been spoken to here, who probably did not even have 1% talent, and probably being white,…. 1% talent and 99% make the 100% of an artist.I didn’t say 1% of the artists have talent and 99% only work.Ifyou have talent, you have to work very hard. You are nothing but a weak old man who thinks he is an artist or has regrets for his miserable life. 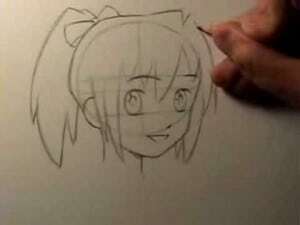 Now, your 3 minute drawing is really bad. Many artists can do half or 1 minute gesture drawings that are on a totally different level from yours which is really bad.You have no idea of the basics of drawing therefore you should stop bragging! Stop talking like an idiot already..getting likeness is the most easy thing to do. A 1 year student can do it. But it is not important I tell you, again. Giving it more interest is the difficult thing..Now..why don’t you try photography? I’m sure you’ll capture the likness there! Goodbye now. Who told you I’m old? I’m really having a difficult time understanding where you found all this information about me..old..teacher..teacher of Gregg Kreutz..i’m working in an art school…damn! your brain is like 175 and not 75. You are totally stupid. Now, why don’t you go meet your teachers? It’s about time you stopped being the burden you are…oh my god..
”those who do generally don’t teach. It is cliche yet true..” Actually, it’s not true. I can name you several names of painters that do and teach. It is true that many big names didn’t teach the way we think now teaching is.. In an art school doing demonstrations..but they had students. Now, in 20th and 21th century there are many examples of superb painters that teached/ teach.For start take as an example Jean-Baptiste-Camille Corot who did teach. I checked out in the Met that several more artists after 1830 did use photography to get their likeness. Monet, Hopper, Renoir,etc.If I looked carefully, for example, monet did the seashore with the sea on the horizon one, since he is not so talented in drawing people, he used a photograph to do his father seating in the foreground with details. the Cathedral he claimed he did many from life, used photo for deatails ! Hopper used the photos to his work. And Renoir, is so obvious. Then,…..
That’s right..all classical artists changed the model. They had in mind ancient Greek statues and used such proportions and characteristics for beauty..That lunatic georgewu , thinks Monet couldn’t draw. But guess what! He did draw and paint far more closer to nature than Michelangelo..
My mean is much better Demo than most of “art professor who teach painting in America universitis and colleages”.It is a terible things they can not draw and paint well but ask students just do what the like to do,they call it create.